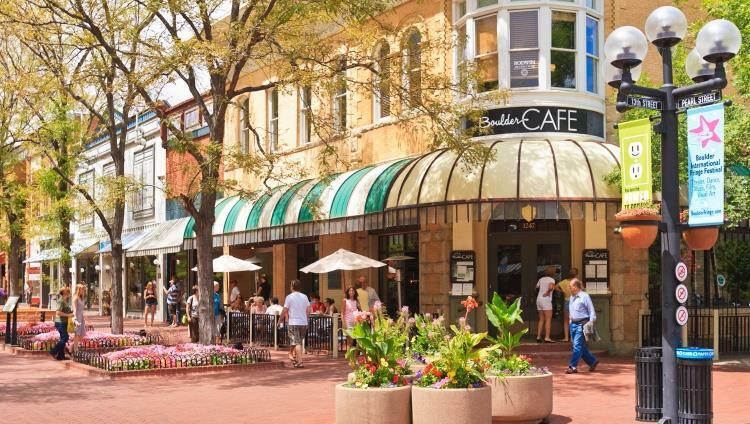 Downtown and the Pearl Street District nationally known by the award winning Pearl Street Mall, a pedestrian mall that features shops, restaurants, coffee shops beautiful floral plantings and street entertainers. Just a few blocks from the Boulder Creek Trail, a trail that runs along the creek that is very popular with walkers, joggers, and cyclists. A farmers market that makes you feel like you’re in a small village in Europe is held every Saturday and Wednesday through out most of the year.